January 2012 - One chapter in the anthology Courageous Stories of Inspiration by Insight Publishing. August 2013 - Heart of a Toastmaster - my story is called I Never Dreamed this book is available from Toastmasters International web site in their store. This book won the 2014 International Anthology award. April 2014 - Mother's Message in a Bottle - Nimbus Publishing. October 2010. The story that I have written for it is called Nothing Under the Tree. 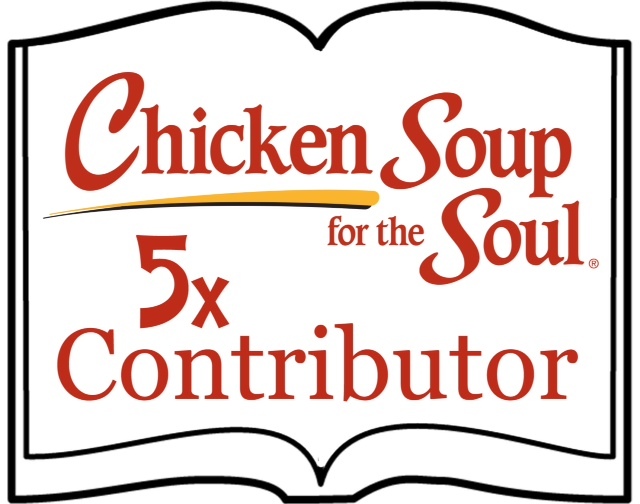 Pleased to announce that I have a story in a 2nd Chicken Soup for the soul book entitled "A Gift of Christmas" It is exclusive to Walmart stores and the story that was selected of mine is titled The Nativity Set. If you are not a seasoned Walmart shopper you can also find the story The Nativity Set in the Chicken Soup for the Soul book entitled "Tales of Christmas" which is available at Barnes & Noble stores. March 22nd, 2011, my story entitled Cherrio Parites in the Chicken soup for the Soul - Grandmothers book. It was inspired by events that occured while 7 of my grandkids were staying with me while 2 more were being born. November 2011, my story entitled Adventure on the Halifax Wharf. March 2012, Chicken Soup for the Soul: The Magic of Mothers and Daughters. My story is The Wedding Dress. October 2012 - Hooked on Hockey Chicken Soup for the Soul - my story is titled Hockey Mom. October 2013 - Think Positive For Kids - my story is called Alone. Jan/Feb 2012 Living Light News. article: Handbags of Hope. 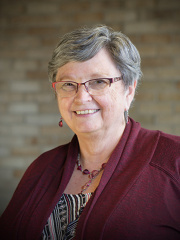 March/April 2012 - Living Light News - Article on His Imprint Christian Writer's Conference. The hands of the clock edged past midnight. August 4, 1982 had arrived. The fetal heart monitor filled the room with the strong, steady beat of my baby's heart. The contractions grew in strength, intensity and duration. The next two hours passed in a blur of pain and anticipation until delivery was imminent. I grabbed my husband's hand and hung on. One more push and the baby slid out into the doctor's waiting hands. "It's a girl!" rang in my ears, but there was no cry! The nurse wiped my baby's face, cut the cord and whisked her to the other side of the room. She grabbed the nose syringe, pushing the tube into my baby's nose and throat, trying to clear the mucous. I fought the oxygen mask another nurse tried to put on my face. I didn't want anything obstructing my vision. I had to see what the nurses were doing with my baby. Noticing my agitation, the doctor allowed me to win my fight with the oxygen mask before crossing the room to assist the nurses. Now all I could see was the backs of the medical team frantically working on the baby I had not yet seen or held. My husband's eyes mirrored my own fear and worry. He bent down and whispered, "What's happening? Why isn't she crying? Is this how it's supposed to be?" His questions put a voice to my thoughts. No this is not the way it is supposed to be! Our other three babies had quickly and loudly protested their passage into this bright yet cold world. Something was very wrong this time. No words made it past the huge lump in my throat, so I slowly shook my head. We waited for our baby's first cry, her first breath, anything that would put an end to this nightmare. My thoughts became jumbled prayers, "Please God do something. Help my baby. Why is this happening?" I silently waited for an explanation from the doctor. I was unable to voice my questions or concerns, afraid that they would take away precious help from my baby. Time seemed to move in slow motion. Seconds seemed like minutes and minutes like hours. Without looking at the large clock on the wall, time would have lost all perspective. One minute, two, three, four and five minutes passed. Almost seven minutes passed before we heard a faint noise. As soon as I heard this little gasp the nurse scooped up my baby and rushed her out the door. Where were they taking her? 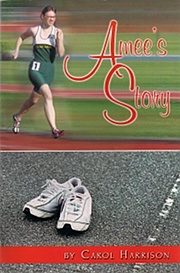 Amee's Story was a finalist in the Canadian Christian Writing Awards held June 2011. "This story reveals that miracles still happen today." "Watching Amee grow has been proof of God's miracles unfolding in today's world." "Anyone reading this story will gain a glimmer of hope and see a shimmering light in a tough and trying time." "It was a well written book, flowed properly throughout, a pleasure to work on."